The use of gadgets such as smartphones already evolved from being merely a tool to an important companion. And, just like any other important things in our life, we put good care of it, especially for expensive ones. But, it does not mean we need to spend more to do that. Meet Trident, a brand that offers a wide array of protection at an affordable price point. 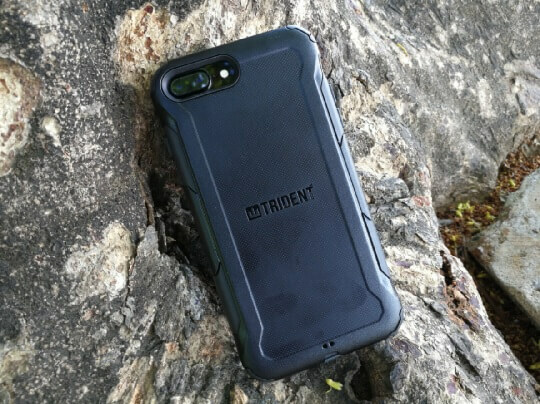 Trident has varieties of products for different needs, and for different devices, but for this review, we took the Trident Aegis protective case for Apple iPhone 7 Plus for a spin. Below is a simple and quick video review we made for easier familiarization of the Trident Aegis. 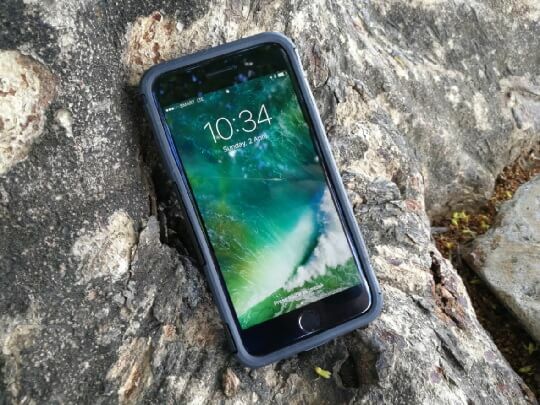 The case is composed of a two-piece design, the inner portion is made of soft silicone with the main purpose in mind is to absorb shock, while the outer shell is made of hardened bio-enhance polycarbonate plastic. Together, these two materials protect the phone from the usual bumps, knocks, and even accidental drops of up to 6 feet. 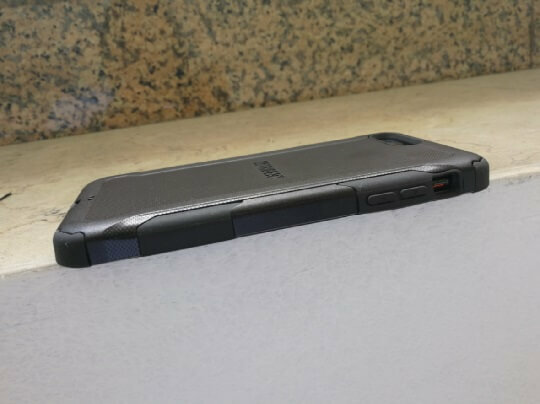 What is amazing about the Aegis case is that you get military grade protection (MIL-STD-810G) without adding too much weight. According to Trident it only weighs 68 grams, which is absolutely true when we test it and place it on our own weighing scale. Installing the case into the iPhone 7 Plus is relatively easy, just install the inner rubber first, followed by the outer hard shell. Once installed, you will instantly feel that your device is secured, and with its anti-skid property, it gives the users better handling, especially for slipper gadgets like the iPhone 7 Plus. 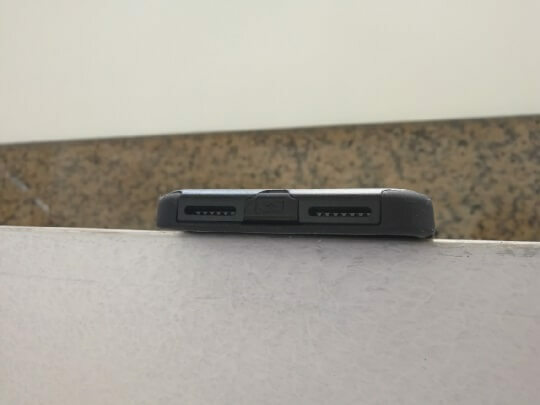 The volume keys, power button, and lightning port are protected, with the latter easily accessible by just removing the rubber plug. Meanwhile, the loudspeaker grille, toggle switch and cameras are all exposed. Sadly, you won't be able to flaunt the Apple logo as it is permanently covered just like the SIM tray. Based on our several days of use, the inner material, due to its anti-slid property, attracts dirt, dusts and even small fabrics when place inside the pocket. Not a big deal for those exposed parts as you can easily clean them. However, you need to remove the case occasionally to clean those trapped in between the phone and the case. 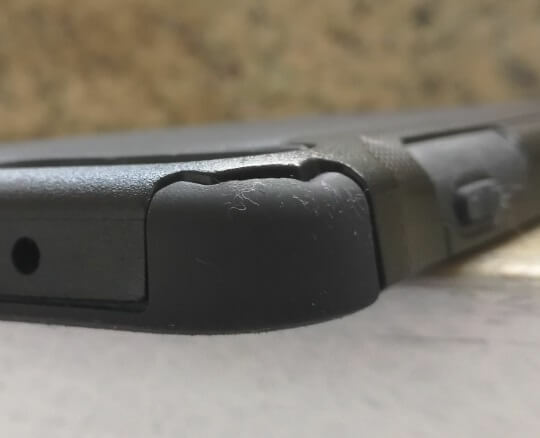 Another thing, there is a small portion of the silicone (the part that covers the volume keys) that has a loose fit, it does not tightly embrace the phone as the other parts due to the fact that the hard shell is not pushing it to do so. 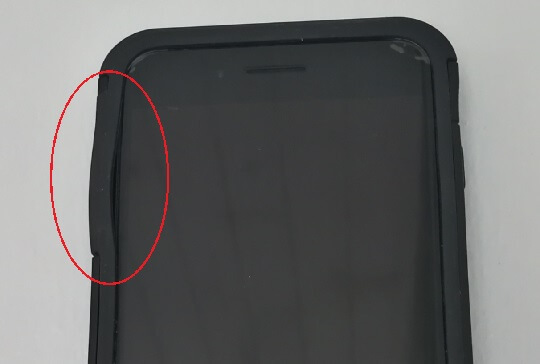 During our evaluation period, we accidentally dropped our iPhone 7 Plus several times from different heights, plus intentional dropped twice, and so far, our device does not incur any damaged. 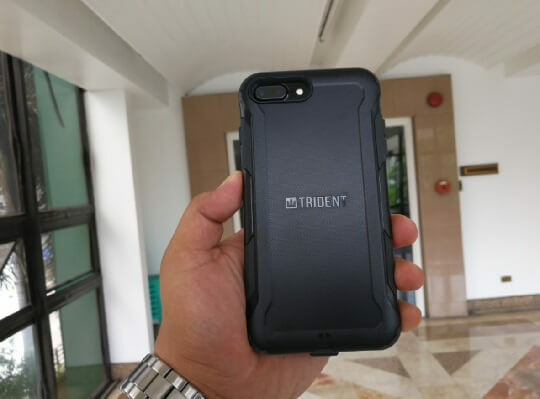 Overall, the Trident Aegis case provides a solid protection for your phone without adding too much bulk and offers good value for money. 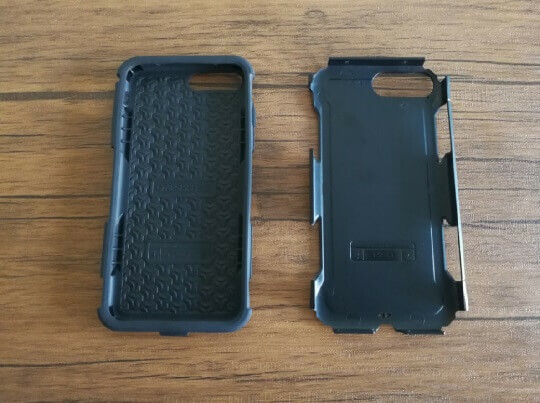 It is a great alternative for expensive case in the market and a really good option for those looking for rugged and durable case. It retails for Php1,2499 and available through select Globe Gen 3 stores, Power Mac Center, Switch and Igig. You can also purchase only through its distributor's website at http://www.synchronizationinc.com/ or via Lazada.